A word of caution: I spent several hours researching kitchen remodeling cost and budgeting on the internet to gather data for this article. I ran into a couple websites that gave square footage pricing for kitchen remodeling. Although I commiserate with their attempt to find a simple method to figure out remodeling pricing, this type of advice is not based in reality. Remodeling jobs in general are so specific to the conditions of the building and tastes of the homeowner that no square footage pricing will ever be realistic. I also ran into many sites that did not give you any real information about establishing a budget but basicaly interpreted Hanley Wood's yearly Remodeling Cost vs. Value report which is published each year. You're much better off going to www.costvsvalue.com and evaluating the results for yourself. There are several places online you can go to help you establish a basic budget number to start with. My personal recommendation is Remodeling Magazine's Cost vs. Value Report which is released by region and major city each year. The really nice thing about this report is that it gives a description of the "average" project so that you can guage if your kitchen remodel is going to fall above or below the benchmark. I also find their average pricing to be an accurate reflection of the pricing for our company, so by recommending to clients before I even meet with them that they investigate this report they are more likely to establish a realistic budget we can work within to give them a fantastic kitchen. While Remodeling Magazine's report is very helpful, it is still a very one size fits all approach to establishing a budget. Keep reading if you'd like to try to hone your numbers a bit. Factor 1: Home Value- Consider not only what you think your home is worth, but also the value of similar homes in your neighborhood that already have updates. My favorite website to check home values is zillow.com, simply enter your address and you get an interactive map with home values and other information listed right on the map. Take note of which homes are of similar size to yours, have been purchased more recently, but have a higher value, then peek in their windows to see what the house looks like. Ok, seriously, I was only kidding. If you don't know them perhaps it's time to meet the neighbors and ask for a quick tour. Factor 2: Wow! - This has everything to do with your goals and motivations. Write down each motivational factor which is important to you in a kitchen remodel. Here are some possible examples: Kitchen is falling apart. You love to cook and the layout doesn't suit you. You love to entertain and want to open up the kitchen as a place to gather. You want a kitchen that wows your guests. You are getting ready to sell your home and the kitchen is a sticking point with buyers... Now that you have your list, evalute which motivations are most important and relist them in motivational order. Imagining your budget starting in "the middle" take note of which factors might move the budget up or down...i.e. wanting to remodel to encourage a sale might move the budget down, remodeling to wow guest might max it out...etc. Factor 3: Essentials Did someone say Aga(a $20k stove)? 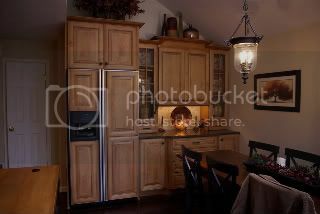 - List any "must haves" for a kitchen remodel to be worth it to you. Possible examples: granite counters, an island with an extra sink, a second dishwasher, a commercial quality gas range, etc. Factor 4: Time- Determine to the best of your ability the length of time you plan on owning the home. Your enjoyment of the space is probably one of your highest motivating factors, so how long you get to enjoy it is important. Factor 5: Size Matters- Determine what percentage of your home your kitchen encompasses. A sampling of over 100 modern home floorplans of 1000 to 3000 square foot homes revealed the average kitchen square footage to be 7% of the home's square footage. 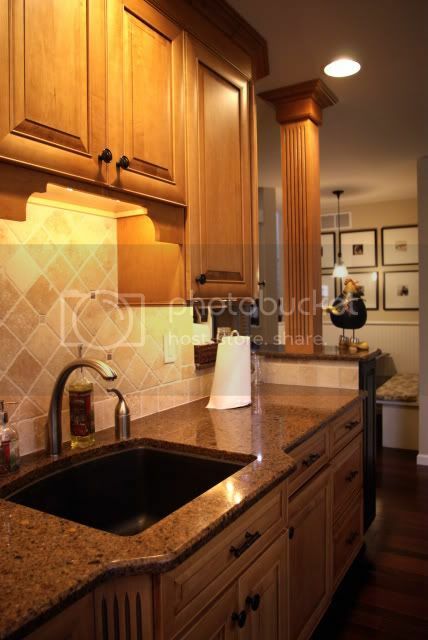 If your kitchen is larger or smaller than this average you may need to increase or decrease your budget accordingly. Factor 6: Layout- if you already know you're going to want the sink moved, an island sink added, an interior wall moved and an exterior door added, then you need to add money to your budget well beyond what a basic facelift would cost. The key to determining your budget is finding the percentage of your home's value you should use as a budget guideline. While researching this article I ran across recommendations to use percentages ranging from 10% to 25% of home value. For a kitchen remodel of any substance that includes new flooring, appliances, cabinets, sink/faucet, lighting and bringing electric up to code I find anything less than 15% to be a very dubious number. I suppose on a million dollar house 10% would be a workable budget, but on a 200k house a 20k budget is marginal at best for a full blown kitchen remodel. If resale value is important to you it is wise to keept the cost of your kitchen renovation project within 20% of the current value of your home. Staying within this range insures that a majority of the new kitchen's cost is recouped in increased home value immediately, and the remaining cost should be recouped within 5 years as your home appreciates. Ok, let's run through an example. Keep in mind, there is no exact formula here. We are simply doing our best to be as informed as possible and make a wise decision about how much to spend on our kitchen remodel. For our example let's use my house. It's a 50's cape cod with a modest square footage of 1500. Factor 1 Value: Zillow gives me an estimated value of $167,500, however, I notice zillow hasn't yet updated and accounted for the single family homes which were recently built in the field behind us with a starting price of $270k. Zillow also has our square footage listed at under 1200. Looks like the previous owner did a little remodeling without a permit. I'm going to base my budget on a price of 180k which is similar to other houses in the neighborhood that are the same size. Factor 2 Goals: My wife and I love to entertain guests. To make a kitchen remodel worthwhile for us we need to lose an interior wall to open up the kitchen and dining nook to the living room. I'm going to add 1% to budget for this. Factor 3 Essentials: As a former chef two must haves for me are a new oven and a really nice propane range(no natural gas service here), preferably a commercial range modified for home use (real commercial ranges don't have insulation around the oven, critical for home safety). I'm going to add another 1% to my budget to make sure there is enough money to get me my range and propane installation. Factor 4 Time: We plan to stay in our house a minimum of 4 years. As a rule of thumb it takes 5 years for most remodeling to appreciate and recoup all of its cost. Since we will likely be here at least 5 years I'm not going to penalize the budget, but since there is a good chance we'll move right around 5 years I'm not going to increase it like I would if we were staying much longer. Factor 5 Size of Kitchen: Our kitchen is about 140SquareFeet(SF). That's over 9% of the SF of the house, 2% above average. Obviously this kitchen is going to require some extra material and cabinets. I'm going to up the budget 1% for this, I hope it's enough. Factor 6 Layout: We are going to change the layout of our kitchen pretty extensively. We currently have a cooktop peninsula. The range is going to go on a differnet wall and the dishwasher will move to the peninsula, though we might ditch the peninsula, move the fridge and add an island instead. About the only thing that won't move is the sink. I'm going to add another 1% to my budget, again hoping $1800 (1% of our 180k value) is enough to cover the electrical and plumbing changes. For my base I'm going to use 20%. As I mentioned before, there are going to be people who will argue with me on that, but going lower often doesn't leave you with workable budget numbers for full blown kitchen remodels. I'm adding 4% based on my factors listed above. I adjusted my zillow.com estimated home value to 180k based on the comparable square footage and value of other homes around me. This gives me a working budget of 24% x 180k= $43,200 When I compare this to the Cost Vs. Value report I see that in the Middle Atlantic Region a Major Kitchen Renovation is $59, 098. It looks like my budget could be bit low, especially since I really would like granite countertops and the Cost Vs. Value specs call for laminate tops. On the other hand my kitchen is significantly smaller than their 200SF benchmark, so I think I'll go with my budget number and see what my contractor can do for me in that budget. I found scant real information on establishing a remodeling budget in my internet searches so I devoted considerable time to researching and writing this article. If you found this article to be of interest and would like our company to take a look at your kitchen remodeling project please click here.